Are you passionate about something? Do you see an intersection of your passions and giftings? Do you look for opportunities to use your passion and gifts to love and serve others? If yes, this message is for you. Have you ever thought that God could be calling you to be an entrepreneur? Do you realise when you create, you are emulating your creator, who introduces Himself in the Bible as a creator before anything else. In fact, God is The First Entrepreneur and when you follow His call to create businesses, non-profits, art, music, books, and other products, you are not just doing something good for the world, you are doing something God-like! Sadly, we Christians are known as consumers, critics, copiers, condemners of culture in the world outside our churches. And this is where God wants you to raise your standards and impact the world as creative entrepreneurs. Not take up entrepreneurship because it sounds cool, but because you are called! And it begins with having the right motive – the God motive! The world will offer you many motives for entrepreneurship: money, power, status, influence…But following the call to create means that you no longer work for self-appealing motives, but you work for the glory of the One who has called you. Your work will take on an entirely different and richer meaning, bringing deep satisfaction when you create to reveal the character of God and spread His love. So, as you read this, are you sensing an opportunity to create a product that will reveal the character and heart of God to your generation? If not, then seek God, not because you need business ideas, but because you love Him! And you will see ideas birth out of the overflow of your love relationship with Him. Do you know God cares deeply about what we create? And you are nothing less than a Kingdom Creator. So be intentional about how your faith can impact the totality of what you do. And please, it’s not just about inserting a cross or a scripture on your product, but how holistically the Gospel can be integrated into your business. Create with questions not just about the viability of your products and the market trends, but about what is on God’s heart and what He is leading you to do. Strive for excellence in everything. Prioritise people over profit. Make it a goal to exemplify Jesus in every facet of your life! Well, in the process struggles may come. Failures may come. But don’t be afraid to take a risk, because as children of God, you have an edge! And that is the Gospel edge – which will enable you to respond to adversity and failures with uncommon hope, transparency, and boldness. 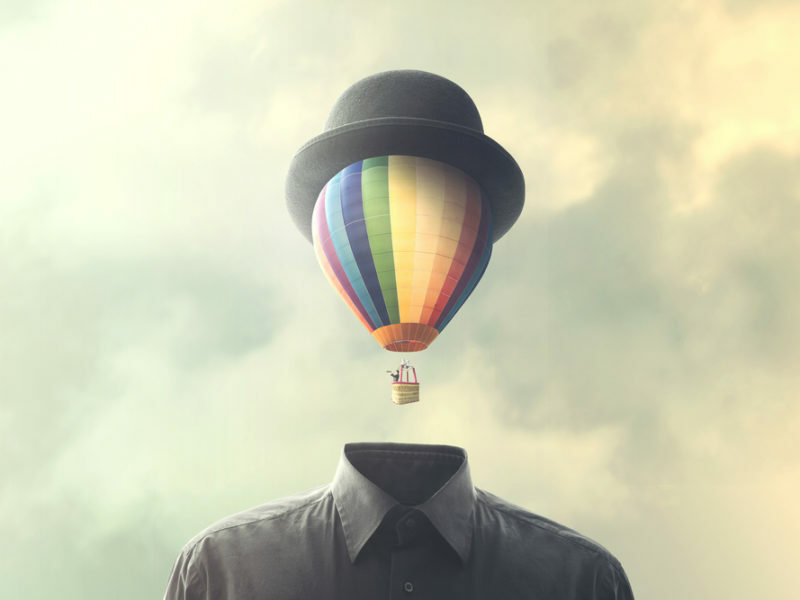 As entrepreneurs know that your self-worth is not defined by what you do, but by who you are. And above all, hustle just as hard as any other entrepreneur. But know that as a child of God, your hustle is only part of the equation. Trust God and be at rest knowing that ultimately it is God who will produce results through us, and He gets all the glory. So what are you waiting for? As entrepreneurs, you have a unique opportunity to join God in the work of creating followers of Christ. Just imagine, one-third of people’s working hours could be spent with your organisation. Now that’s an awesome privilege! Know that your calling is just as important as that of a full-time minister or pastor. In fact, the highest calling is in becoming all that God is calling you to be and glorify Him in that! So step up, and steward those God-given gifts well, so that one day, the Master might also say to you, “Well done, good and faithful servant. And eternity will be proud of your work! The above text has been adapted (with permission), from best-selling author Jordon Raynor’s upcoming book ‘Called to Create’. The book covers compelling stories of how faith and calling can be integrated from an eclectic group of 40+ Christian entrepreneurs including the founders of TOMS Shoes, Charity: Water, Chick-fil-A, In-N-Out Burger, Guinness, and HTC, as well as culture-creators such as C.S. Lewis, Johann Sebastian Bach, and J.R.R. Tolkien. Whether you are someone who traditionally identifies as an entrepreneur or someone who just knows they are wired to create, Called to Create is sure to inspire, challenge, and equip you to view your work as nothing less than service to God and the world. 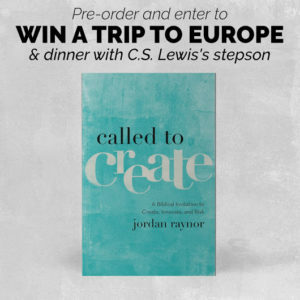 To know more about Jordon or the book, check: www.calledtocreate.org To pre-order your copy go here and when you do you will be entered into epic sweepstakes for a free trip for two to Europe and dinner with C.S. Lewis’s stepson.